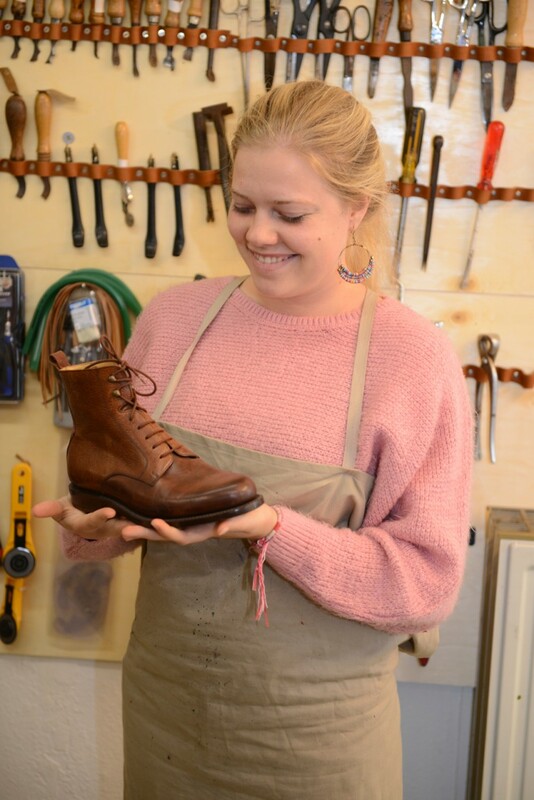 You have an exact idea about your own pair of shoes – or you always wanted to gain an insight into the shoemaker’s handcraft? In our workshops you will learn how to make your own shoes. Chose the material and the design according to your own ideas and manufacture your own shoes in a traditional shoemaker’s shop. 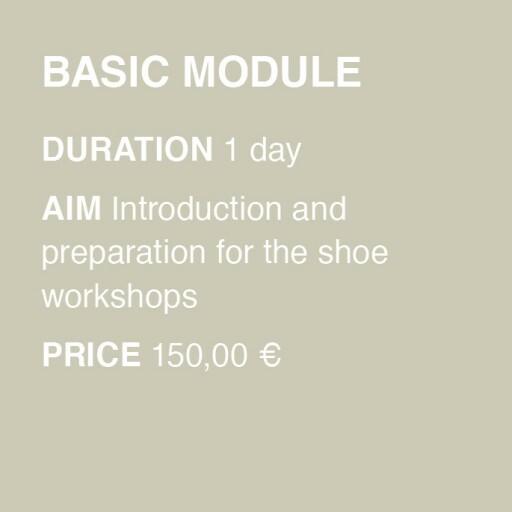 You will gain some theoretical background knowledge as well as a thorough general view of shoe design and how to put it into practice. We will gladly inform you of further dates on request. 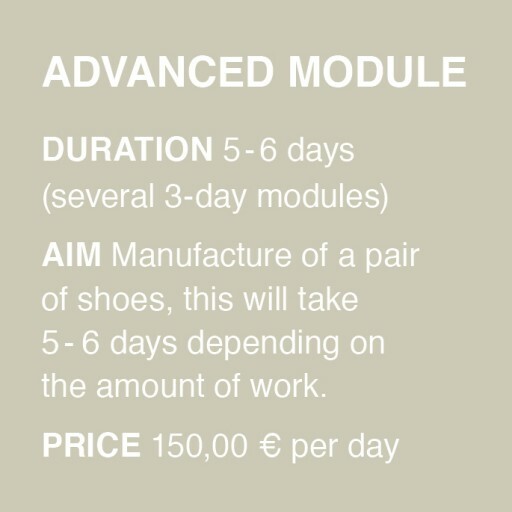 Participation in the Basic Module is a requirement for making your own pair of shoes. You will gain an insight into the shoe manufacturing process, and we shall discuss your ideas together. At the end of the day, you will know whether or not your “dream shoe” is technically feasible and how many workshop modules you will need to complete it. This depends on the complexity of your shoe design. There are no professional prerequisites other than a motivation for manual activities and for deepening what you have learnt between the modules.